Mt. Juliet, Tenn. – A man wanted by the Metro-Nashville Police Department for felony probation violations is in custody after a six hour standoff with Mt. Juliet Police Department. Brian Crafton, 33, of Primm Springs, Tenn. barricaded himself in his ex-wife’s home on Meadowview Drive, and he refused to come out after numerous requests from Mt. Juliet’s Crisis Negotiation team. Around 4:00 p.m. Saturday afternoon, a Mt. Juliet Police officer spotted Crafton near the Meadowview Drive home. Crafton also spotted the officer and quickly went inside the home. 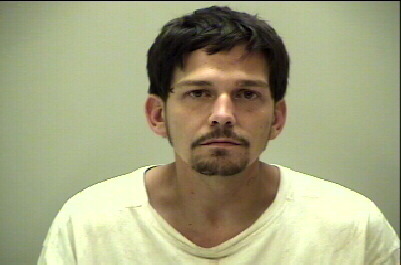 Officers established a perimeter around the home to ensure Crafton did not get away. His ex-wife and two young children were safely removed from the home during the standoff. Six other nearby homes had to be evacuated as a safety precaution. Crisis Negotiators attempted to contact Crafton many times during the evening by requesting a peaceful surrender, but he was unresponsive. Therefore, Mt. Juliet’s Special Response Team (SRT) deployed gas canisters to force Crafton out of the home. SRT members successfully took Crafton into custody after he was found exiting the crawlspace underneath the home around 10:00 p.m. Investigation revealed that Crafton initially was hiding in the attic of the home, but he broke through the floor to gain access to the crawlspace in an attempt to further evade officers. Brian Crafton, age 33 of Primm Springs, Tenn. He will eventually be transferred to Metro-Nashville to face three felony probation violation charges. 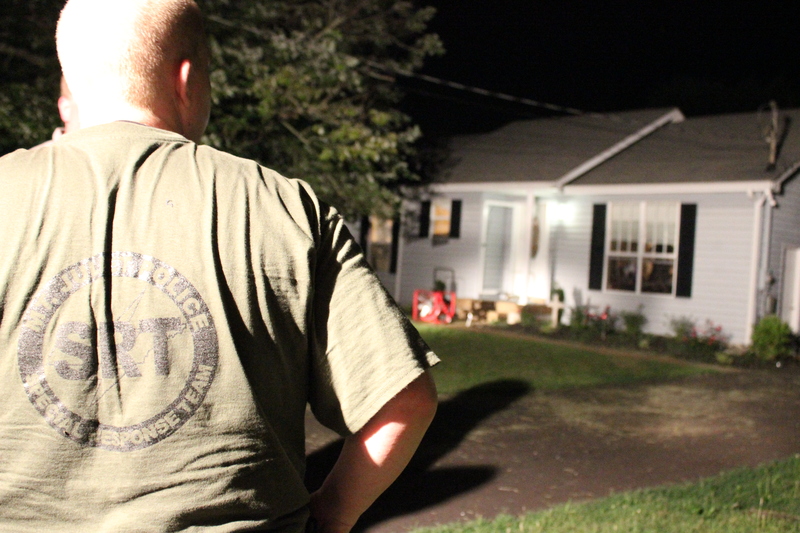 A SRT Member looks at the home where Crafton was barricaded.